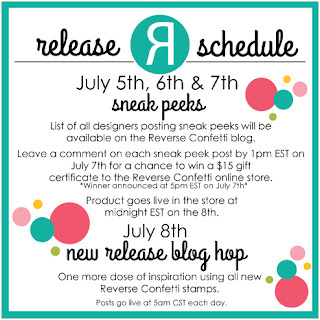 LOVING the entire new Reverse Confetti release - hop along daily for sneak peeks of all the sets! Super cute, Lisa! I think this set is going to be perfect for my 3rd grade students-they're all rocks stars, too! Congrats on being this month's Guest Designer! Congrats on the DT gig Lisa! Lovely card - I like the graph paper design int he background! 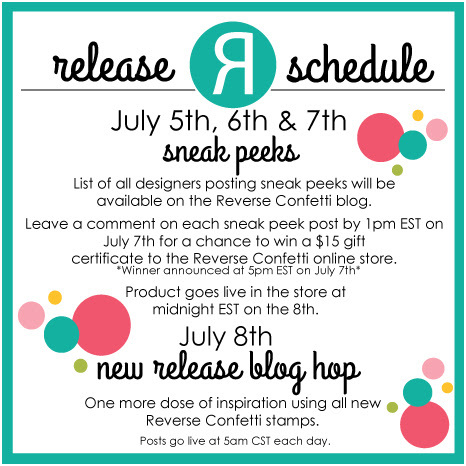 So glad you are joining us for sneak peeks and the hop! Congrats on being the 'Fetti Fave! Cute card. 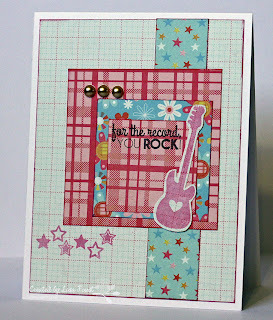 Love the pink plaid with the rock star stamps. So sweet!! Very cool card Lisa, I really like the colors and layout too! so cute... perfect for a little girl! Very cute! Love the new set! Very cute card!!!! Great sneak peek! Fun hop. Love the stamp sets so far. Looking forward to seeing all of the sets! Fabulous Lisa! So happy to have you hopping along with us! OH MY!!! This is sooooooo cute! I love your papers and use of these stamps-- esp. the stars on the corner! FAB! Great card, love these new stamps! Plaid, flowers and stars, oh my.... cute! This is such a cute girl "you rock" card! I work in the 1st and 2nd grade school in town as a lunch aide. I love my 6 year old rock stars on the playground, they are so much fun! 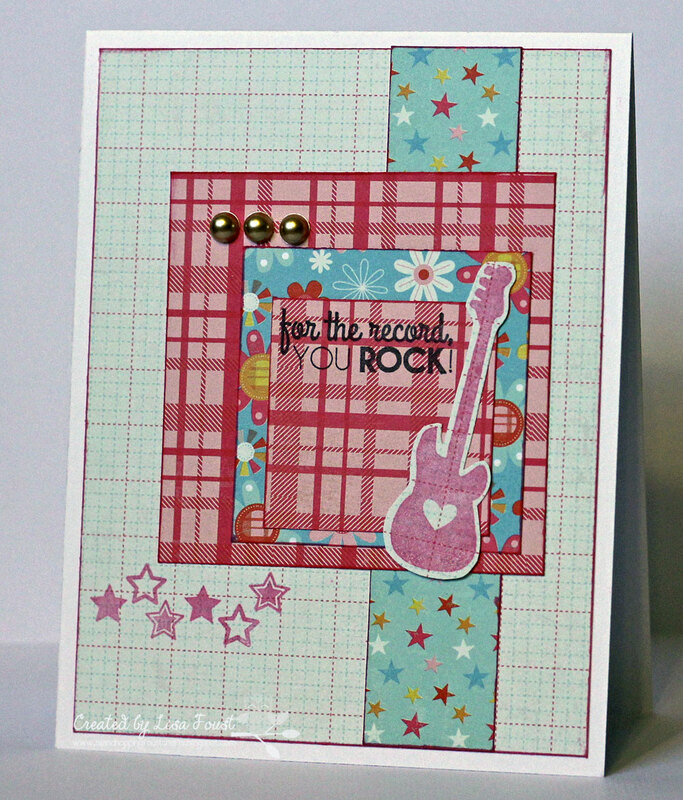 You rocked this card with fabulous pp and sketch! Absolutely adore the way this card looks! Sweet! I'm sure the girls will love this! Congrats to you for being a 'Fetti Find! Enjoy your goodies and thanks for sharing this card! Wonderful layers, loving this set! Kids everywhere will love cards made with these stamps. And guys! And music lovers! I'm a Proud Coast Guard wife living in Alaska with a beautiful 6 year old daughter and a 2 year old. I love everything crafty and attempt to scrapbook or stamp daily! Copyright (c)2008-2013 Lisa Foust. All content including designs, text, photographs and text are copyright Lisa Foust. My post are for your enjoyment and may not be used for publication or contests without my consent. Thank you!